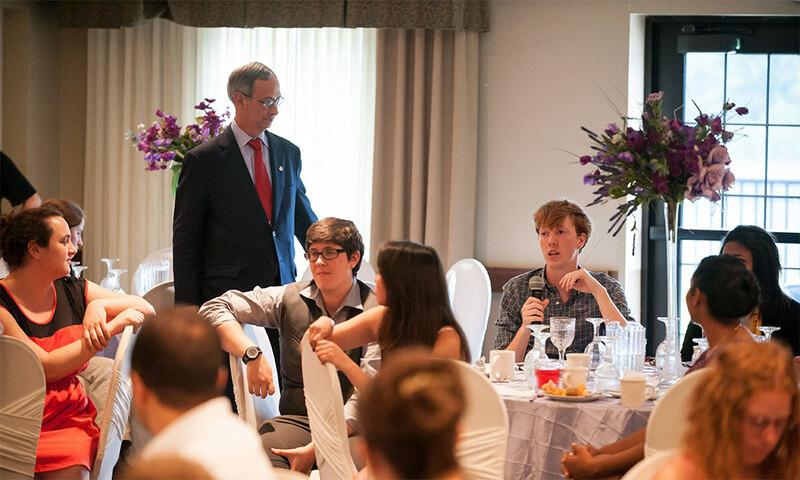 University of Rochester President Joel Seligman leads a panel discussion with Urban Fellows at Staybridge Suites June 25, 2014. Seventeen college students will be honored for their efforts to improve the Rochester community on Wednesday, Aug. 30 at City Hall. Mayor Lovely Warren will recognize the Urban Fellows for their work in a variety of service projects, from marketing health programs and planning events for youth to fostering community and connecting businesses with vacant storefronts. Throughout the summer, students not only worked at their host agencies within Rochester, but they also attended weekly seminars about the history, politics, and sociology of urban communities, and participated in cultural events and activities around the city. “The program gave me a deeper knowledge of the challenges Rochester is facing,” said Micah Villanueva, a student at the University of Rochester. Villanueva developed a marketing strategy for Sector IV Community Development Corporation (CDC), a non-profit focused on economic revitalization through community building. 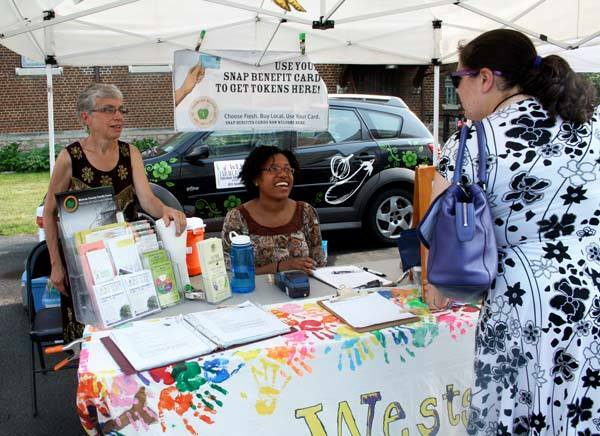 He also organized “Open for Business,” a free event to connect entrepreneurs with community agencies and recruit new businesses for vacant neighborhood spaces. The event attracted 25 entrepreneurs and 14 representatives from nine agencies in Rochester. It was such a success that the CDC will run “Open for Business” again in six months. 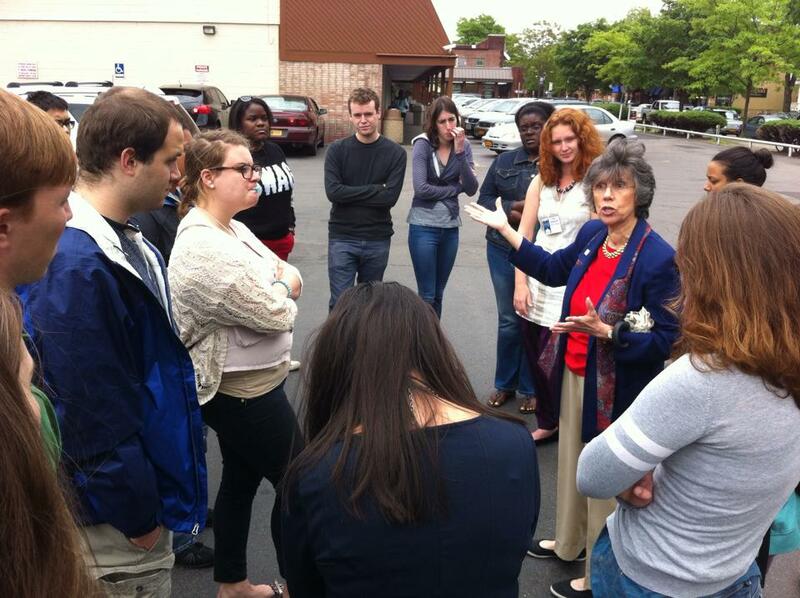 The Urban Fellows learn about urban design and historic preservation from Cynthia Howk of the Landmark Society of Western NY. The Urban Fellows Program, now in its 13th year, is coordinated by the Rochester Center for Community Leadership (RCCL) at the University. The 2014 program benefits from sponsorship by the Rochester Community Foundation, the JPMorgan Chase Foundation, and the U.S. Corporation for National and Community Service. Urban Fellows must attend a Rochester-area college or be a Rochester resident attending college elsewhere. This year’s fellows come from eight schools, including the University of Rochester, Vassar College, Swarthmore College, Roberts Wesleyan, Skidmore College, St. John Fisher, SUNY Geneseo, and Morgan State University. “It’s nice to share a community with others who not only have a tie to Rochester, but are working together to make it better,” said Wesline Manuelpillai, a rising junior at the University of Rochester. Manuelpillai worked with the Southeast Neighborhood Service Center to foster community among area residents. She coordinated the kickoff event for Voice of the Citizen (VOC), a city outreach program that helps neighborhood associations develop block clubs, enhance safety, and implement beautification projects. The Fellows will present on their service learning experiences on Monday, July 28 on the University of Rochester River Campus. A closing ceremony combined with Rochester Youth Year Fellows is scheduled for Wednesday, July 30, in City Hall at 5:20 p.m. following poster presentations on their service projects.